Art Expo Custom Framing Gallery: 355 Corey Ave, 727-360-2953. Owen Sweet Jewelry Design: 344 Corey Ave, 727-392- 6936. Vincent William Gallery: 320 Corey Ave, 727-363-1334. Annabel’s: 347 Corey Ave, 727-360-1534. Attic Shop Thrift Store: 316 Corey Ave, 727-360-5647. Natural Comfort Footwear: 341 Corey Ave, 727-360-8100. St Pete Beach Library: 365 73rd Ave, 727-363-9238. A Plus Restaurant Equipment and Supplies: 7370 Gulf Blvd, 727-367-0019. Coastal Cottage: 300 Corey Avenue, 727-914-3538. Crystals, Bangles & Beads: 425 Corey Ave, 727-363-4332. 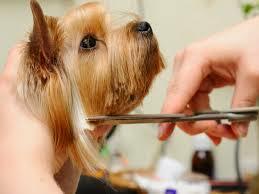 Gone To The Dogs Boutique & Grooming: 310 Corey Ave, 727-363-3200. Modern Optics: 415 Corey Ave, 727-360-2511. Paradise Gifts & Home Decor: 371 Corey Ave, 727-363-8501. Paradise Lights: 401 Corey Ave, 727-317-5513. Simply Perfect: 326 Corey Ave, 727-360-4141. Sunset Beach Shop: 350 Corey Avenue, 727-410-1773. Chill Food Haven and Lounge: 357 Corey Avenue, 727-360-2445. PJ’s Oyster Bar: 595 Corey Ave, 727-367-3309. Swigwam Beach Bar: 336 Corey Avenue, 727-363-7944. Tapz on Corey Ave: 348 Corey Avenue, 727-289-9902. …and more than a dozen restaurants and pubs within walking distance. Accounting & Tax Consulting: 253 Corey Ave, 727-363-4524. Beaches Acupuncture: 7395 Gulf Blvd., Suite 2, 727-456-8496. Beach Hair Affair: 421 Corey Ave, 727-367-8338. Beach Memorial Chapel: 301 Corey Ave, 727-360-5577. Beach Time Realty: 520 Corey Ave, 727-363–3300. Coastal Properties Group International: 343 Corey Avenue, 727-748-4044. Corey Landings Barber Shop: 314 Corey Ave, 727-946-5069. Digital Eel: 9524 Blind Pass, 727-368-0270. Four Seasons Travel & Cruise Center: 445 Corey Ave, 727-360-1900. Gulfcoast Networks: 431 Corey Ave, 727-360-3146. Lemon Tree Spa: 7395 Gulf Blvd #1, 727-363-0772. Keller Williams Realty “SunCoast”: 263 Corey Ave, 727-367-3756. Native Properties: 255 Corey Ave , 727-367-7602. Pasa Tiempo Private Waterfront B&B Resort: 7141 Bay St, 727-367-9907. Wells Fargo Bank: 400 Corey Ave, 727-892-2018. Veterinary Healing Arts, Tiffany Rimar DVM: 431 Corey Ave, 727-360-5700.